Apple likes to stay on message when it summons the press to unveil a new spate of products. So when Steve Jobs takes the stage Wednesday for Apple’s fall music event, expect the focus to fall squarely on music—that is, iPods and the multitude of content you can consume on them. Apple might also talk about some related areas—a new version of iTunes here, a revamp of Apple TV there—but by and large, the company has an agenda Wednesday, and it’s going to stick to it. Which is fine. I certainly wouldn’t want anything to get in the way of Apple’s annual effort to goose its holiday season sales. But the company also some unfinished business related to its iPhone releases from this summer. No, the problems I’m talking about are lingering iPhone issues that Apple has, in some cases, briefly acknowledged before shifting its attention to other things. The most notable problem is one with the latest Phone’s proximity sensor. The proximity sensor detects when your iPhone gets close to your face—as it does when you make a phone call—so that it can turn off the phone’s display so that your cheek doesn’t inadvertently brush up against on-screen buttons, launching other applications or ending the call. Some iPhone 4 users report problems with the proximity sensor in their phones—either it doesn’t turn off the display when they take a call or it fails to turn the display back on when the call is over. Unlike with the antenna issue, this isn’t something you can fix by slapping an Apple Bumper on your phone. You’re at the mercy of Apple for a fix, and mercy isn’t always something that flows in abundance out of Cupertino. At Apple’s July 16 press conference, Steve Jobs told reporters that the company was working on a fix that would be available in a future software update. That’s been the company’s last public word on the subject (unless you want to count this report quoting an Apple Australia spokeswoman that acknowledges the problem hasn’t been fixed). Another outstanding issue is the iOS 4 update—specifically how it runs on older models like the iPhone 3G. Or, even more specifically, how poorly it runs on 3G models. Depending on who you talk to, a 3G running iOS 4 runs like a two-pack-a-day smoker after climbing a few flights of stairs, drains battery life, and heats up your smartphone after normal use. As an iPhone 3G owner who didn’t exercise his usual amount of caution when it came to installing upgrades, I can confirm that my iOS 4-running phone heats up fairly frequently since I installed the update. Apps are less responsive, prone to freeze, and crash with greater frequency in my experience. My iPhone is definitely less pleasant to use and less reliable since the iOS 4 update. 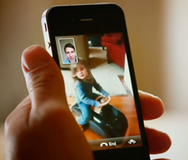 Apple was reportedly looking into iOS 4-related problems at the end of July. And if you believe reports of Steve Jobs’s alleged e-mails, an iOS 4 fix for iPhone 3G users may be on the way. Otherwise, there’s been no official word from Apple, leaving iPhone 3G owners like myself to weigh the merits of undertaking the not-at-all simple process of downgrading to iPhone OS 3.1.3. So when Apple is in the midst of talking up its latest iPods or taking another stab at the Apple TV or introducing whatever other new products it has waiting in the wings, I hope the company takes a moment to remember the iPhone owners who have been waiting patiently for a fix for their problems. iPhone 4 owners with misbehaving proximity sensors and iPhone 3G users stuck with a poky iOS 4 update aren’t making unreasonable demands on the company—rather, they’re just folks who paid good money for a product and would like for it to work as advertised.